– A bit of healthy competition. Who will get to the most advanced level in the limited time available? – Opportunities for collaborative working – students are often keen to show their expertise and help other students who are stuck. – The chance to build a positive learning environment through handing out rewards for making out good progress. 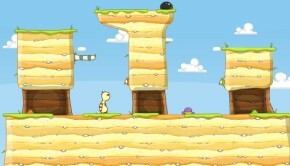 – Most importantly, all of these challenge games provide some great learning opportunities. These can include developing problem solving skills, developing Maths skills, knowledge of Physics and much more. Your classes will be so busy enjoying themselves that they may not realise they are learning, so it is always worth a little plenary at the end which offers the opportunity to discuss and clarify what they have learned. To make this a little easier for you, all of the challenge games added to cool-math.co.uk have been provided with clear learning objectives and plenary questions. These learning objectives may not relate to the main focus of your lesson, but the motivational benefits and development of a range of other skills provided by one of these 5 minute challenge tasks make such activities very much worthwhile with certain classes. Our sister site cool-math.co.uk has a growing collection of these challenge games which are ready to play for free online with no downloads required. Check out the Challenge Zone here to see the full list of games which includes such famous and popular games as Candy Crush and Cut the Rope. 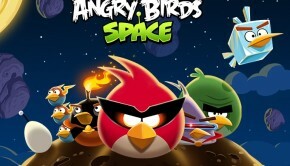 The original Angry Birds game is one of the most successful games of all time. The American space agency NASA was involved in the development of this sequel and they billed it as a fantastic educational tool for learning about topics such as gravitational fields, orbits and curved lines of motion in space travel. Play it and see learning activities here. Who says ‘pigs can’t fly’? 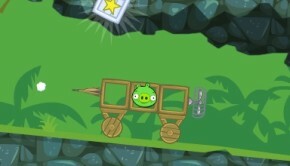 They certainly can in the wonderful game ‘Bad Piggies 2′ but first you will have to create some kind of contraption which will help them to take off. Play Bad Piggies 2 online for free and students will have great fun while developing engineering, planning and problem solving skills. With wonderful graphics and animations which look like they have come straight from a Dr Seuss book, ‘Pursuit of hat 2′ is a logical puzzle game which will really challenge your ability to sequence instructions appropriately. This is a really important thinking skill, particularly given the curricular shift towards computational thinking. Play for free here. 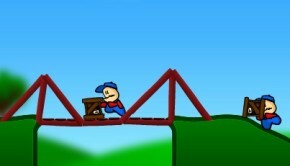 Stretch your engineering skills with Cargo Bridge and see if you can design sufficiently strong bridges to complete each level. A fun and challenging game, it provides an opportunity to develop an awareness of the value of simulating real-world projects when tied to historic events such as the collapse of the Tacoma Narrows bridge. A real little treasure of a game. 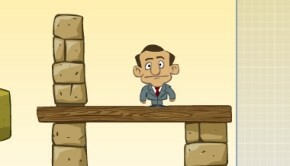 Can you create objects of the correct shape and dimensions to protect the philanthropist from cannon balls? This game will really stretch the thinking skills of your students and develop their awareness of designing shapes to suit specific requirements. Play for free here. With the clearly stated learning objectives for each of the games in the Challenge Zone at cool-math.co.uk you should not have any trouble about access being blocked at school or needing to get things unblocked. Have you got your own suggestion for something you have tried with a class that has worked well? If so, let us know below. Just remember, it must be possible to play the games for a relatively short period of time and there needs to be some kind of educational value that you can draw from it.